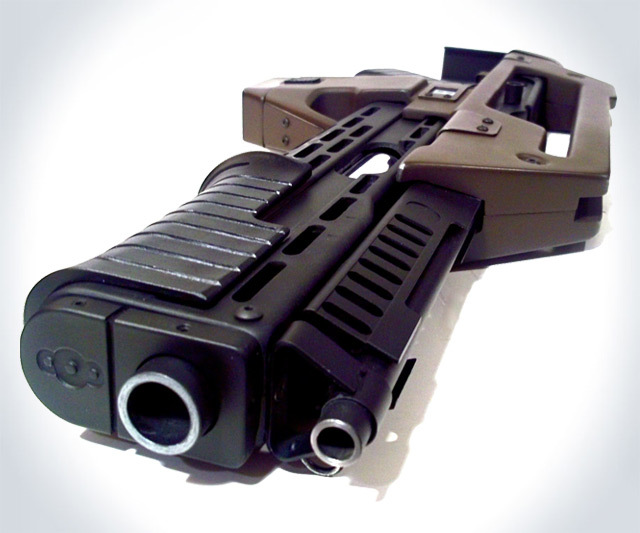 You look at the replica M41A Pulse Rifle from Aliens, its fully adjustable metal stock and removable magazine, and wonder, Is it real? It looks real. It's the right shape. It's...huge...definitely the right size. 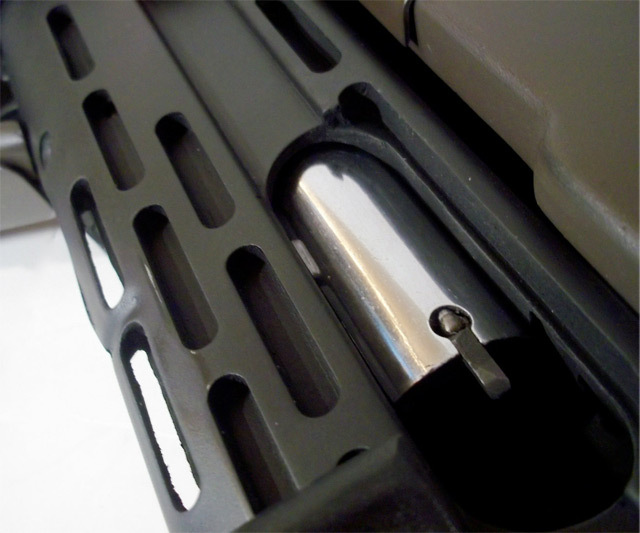 It moves naturally--the bolt works and the shotgun pump slides. But is it possible for something so flawless to be anything more than a glob of plastic molded to enchant and lure you in, only to shatter all hopes and dreams the second you hold its hard, lifeless composites in your hands? Well, let us save you the trouble of sending a friend to do the recon that culminates badly in an awkward and humiliating sauna encounter at the gym. It's real, and it's magnificent. This M41A Pulse comes from neither a kit nor Japan. 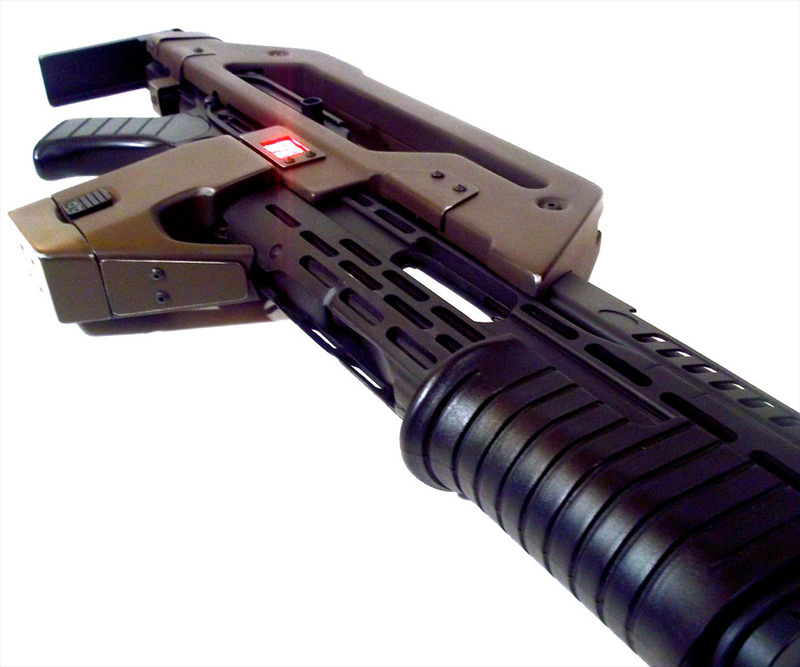 The professional weapons forger behind Movie Guns, Inc. handmade and handpainted the fully-functional rifle from scratch, and the end result is a 1:1 scale exact replica of the prop Sigourney Weaver wielded in Aliens. It fires in semi- and fully-automatic modes, at a rate of fire also identical to that in the film. UPDATE: Yes, for those who have inquired, the rifle is a fully-functional prop, whose parts are identical to, and function exactly as the versions the actors used in Aliens. Movie Guns R Us will also custom make and sell an Airsoft version of this rifle. 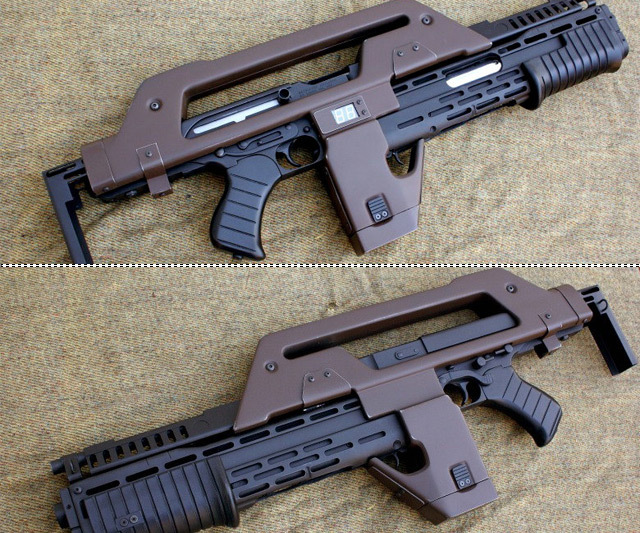 The two models are identical, less a hidden plug on the latter to change the Airsoft.